Kids playing in a chess tournament in Spain. A knock-out tournament. Not a popular choice in chess events. An all-play-all event. A highly regarded format, but does not permit large entries. A Swiss system event. Permits large entries, and is the most common format. The event has a pre-set number of rounds, and there are many more players than rounds. Progressively, players play opponents with roughly similar points to their own score. Players who win get stronger opponents, players who lose get weaker opponents. Pairing each round may be done by computer. 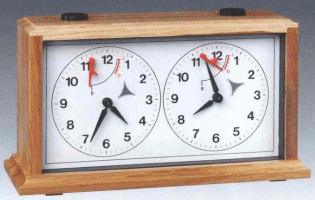 This is an invention of the chess world and, like chess clocks, has been adopted by a number of other two-person sports. 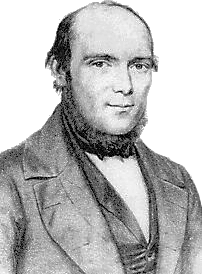 Since the first international chess tournament in London, 1851, chess tournaments have become a standard form of competition among regular players. 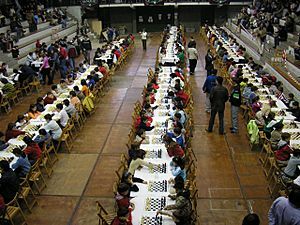 By the 37th Chess Olympiad, 2006, there were 133 participating nations. Chess tournament Facts for Kids. Kiddle Encyclopedia.